W. P. "Bill" Skaggs, Jr., 92, of Topeka, passed away on Tuesday, October 30, 2018. He was born August 26, 1926 in Joplin, Missouri, the son of William Pascal “Pat” and Blanche (Burtrum) Skaggs. Bill attended elementary schools in Minnesota and North Dakota and graduated from Washburn Rural High School. He attended Washburn University. Bill served in the U.S. Navy during WWII. He was employed by Southwestern Bell in Topeka in 1951 and retired from their Revenue & Public Affairs Department in 1988. He also worked in Kansas City, Manhattan and Arkansas City as well as Topeka. Bill was a member of the Highland Park United Methodist Church where he served as financial secretary and treasurer. He was a Life Member of Topeka North Post 400 of the American Legion, Life Member of the National Rifle Association and a Senior Member of the Kansas State Rifle Association. Bill married Roma Collett on February 14, 1987. She survives. Other survivors include two daughters; Marianne Skaggs and husband, Charles Pitts, Lt. Col. USAF Ret. Of Lebanon, Illinois, Annette Rohde and husband, Dan of Overland Park, Kansas; two sons, Michael Dale Skaggs and wife, Beverly of Sun City, Arizona, Michael Scott Skaggs and wife, Linda of Olathe, Kansas; two step-daughters, Konnie and husband, Steve Schuman, M.D. 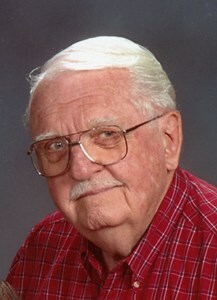 of Lenexa, Kansas, Joani and husband, Wayne Jones of Albuquerque, New Mexico; step-son, Dana Erickson and wife, Jennifer of Dunwoody, Georgia; ten grandchildren and seven great-grandchildren. Services will be held at 10:30 a.m. Saturday, November 3, 2018 at the Highland Park United Methodist Church where the family will receive friends one hour prior to service time. Burial will follow in Mount Hope Cemetery where Military Honors will be presented by American Legion Topeka North Post 400. In lieu of flowers, memorial contributions may be given to the Highland Park United Methodist Church, 2914 S.E. Michigan Ave., Topeka, Kansas 66605. Add your memories to the guest book of W.P. Skaggs, Jr.. I was so sorry to learn of Bill's passing. He was such a kind, thoughtful person-always thinking of others and always a gentleman. May the love and many wonderful memories you've shared help you endure this difficult time. You will be in my thoughts and prayers. I was so sorry to hear of Bill's passing. It has been several years since we worked together at Southwestern Bell. May all your many happy memories together lift you up during this time of sorrow and give you strength in the days ahead. Bill was always such a nice man and good co-worker at Southwestern Bell. May his family be comforted by warm memories. So sorry for the loss of your Dad. I remember meeting him in Manhattan and how outgoing he was. He lived a long life.